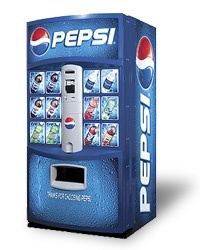 Vending Group provides free Pepsi vending machines with full-service management in all 50 states for hotels, apartment communities, and workplaces with 40 or more employees. We'll take care of everything including the installation, stocking, and servicing of your full-service Pepsi-Cola vending machine at no cost. 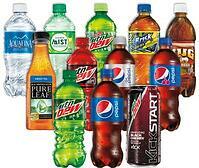 Get the flavor selections you want: Pepsi, Diet Pepsi, Mountain Dew, Aquafina water, Gatorade and more. Your facility benefits by having a convenient way to purchase Pepsi’s full line of vending machine products without having to leave the building. You will never receive any sort of bill or charge, period! 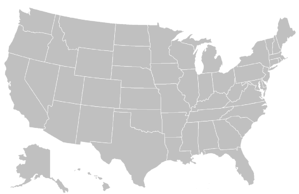 We provide vending services for businesses all across the United States. View our service areas for more information. *We do not place snack machines only. To get a snack machine, your location must also qualify for soda vending. How Much Does the Pepsi Machine Cost? Our full-service programs are entirely FREE. No startup fees. No service fees. No monthly payments. How Big Are Pepsi Vending Machines? The standard size is 72"x39"x33". If you have a designated area for the Pepsi machine to be installed, make sure there's enough room for the plug and for the door to be opened. How Many Flavor Selections Does A Pepsi Machine Have? Pepsi vending machines can hold up to 12 selections of soda, juice, and Gatorade options. © 2012 - 2017 Vending Group, Inc.